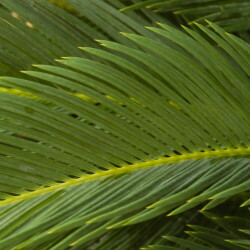 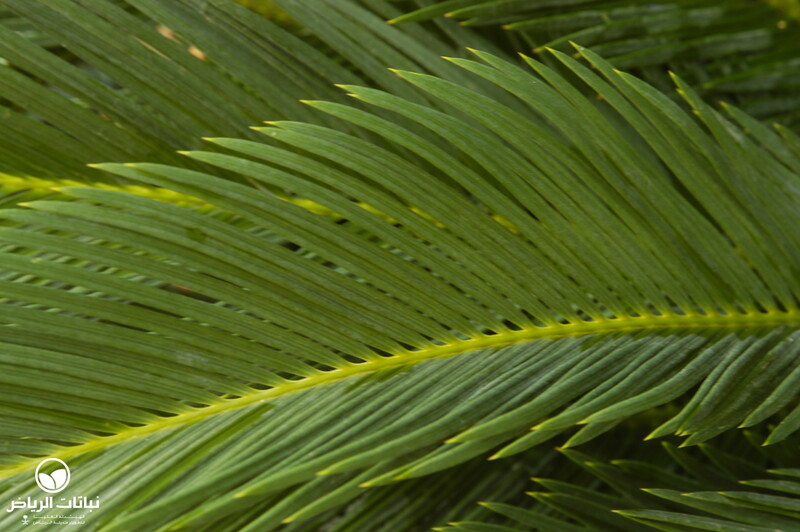 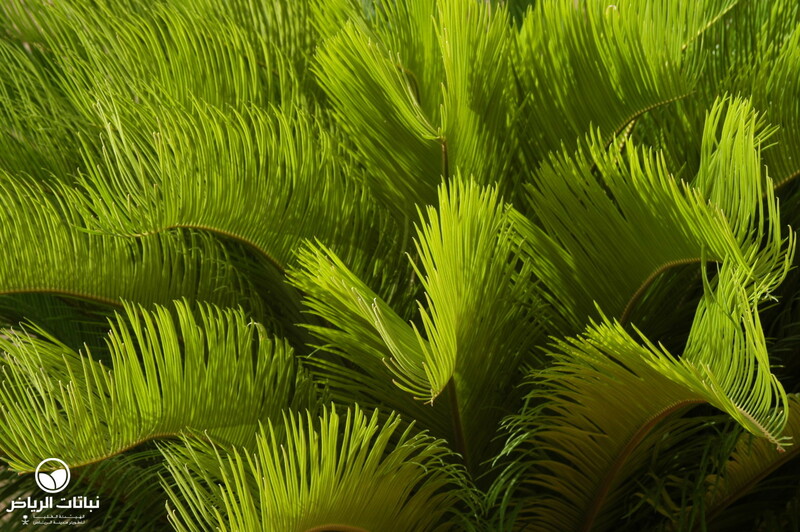 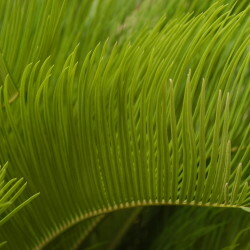 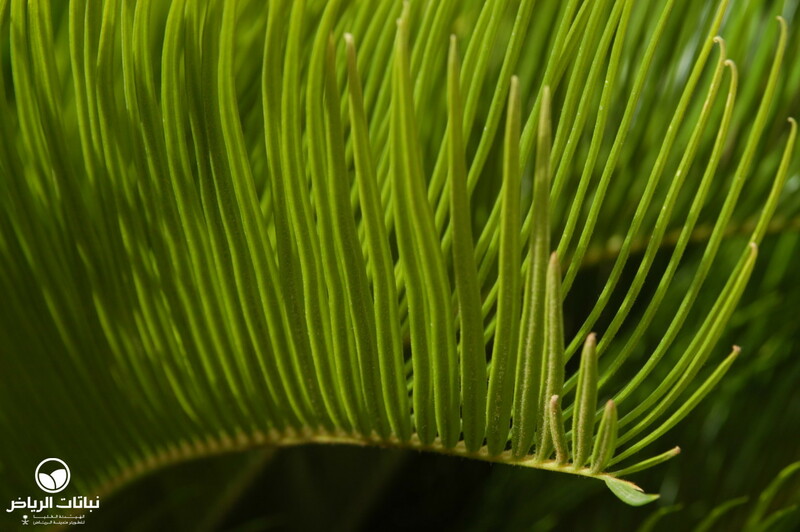 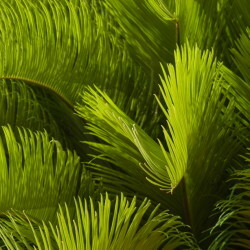 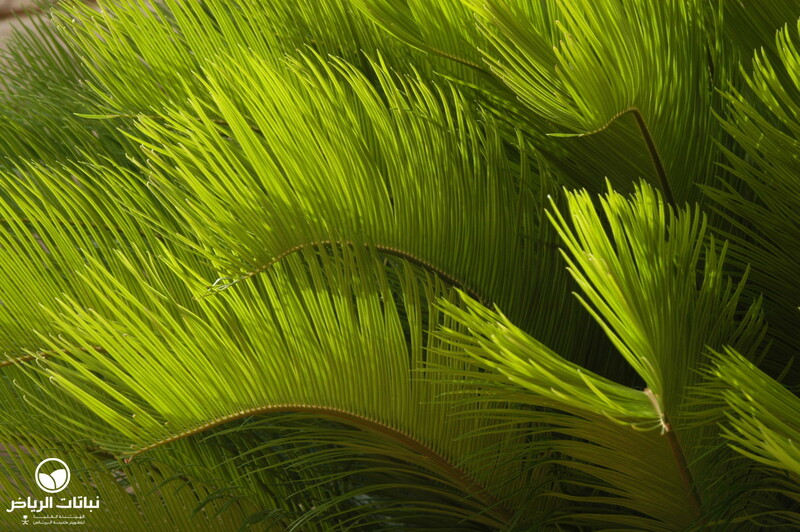 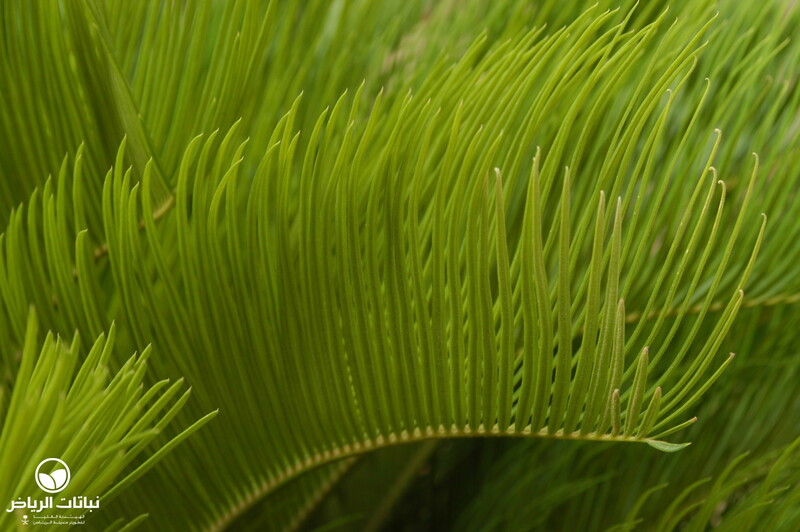 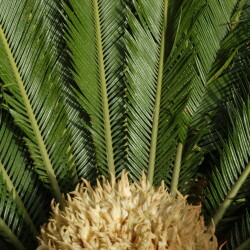 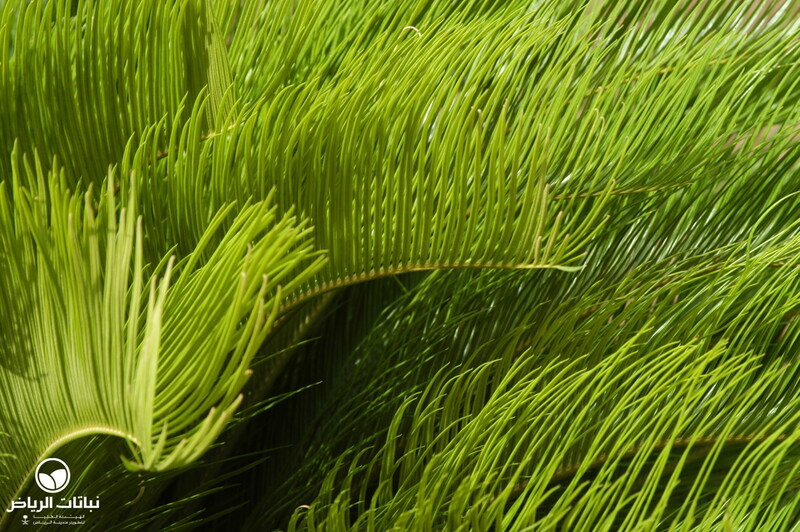 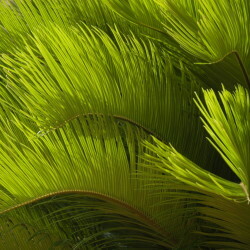 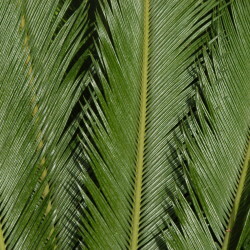 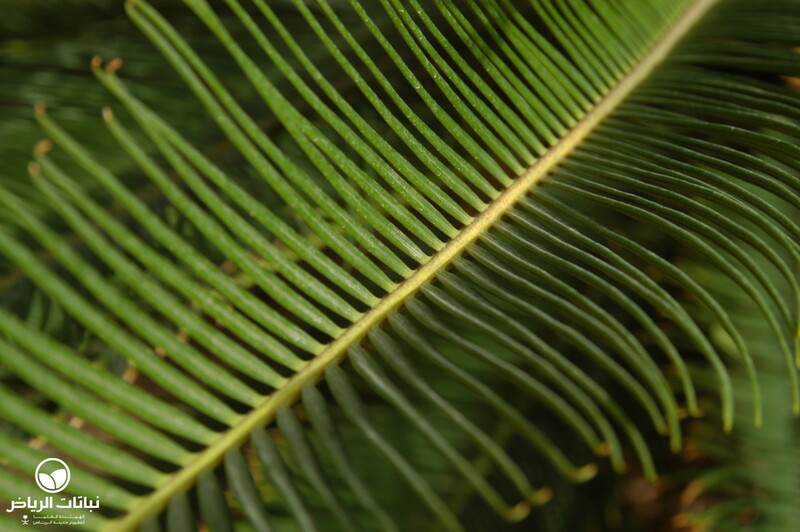 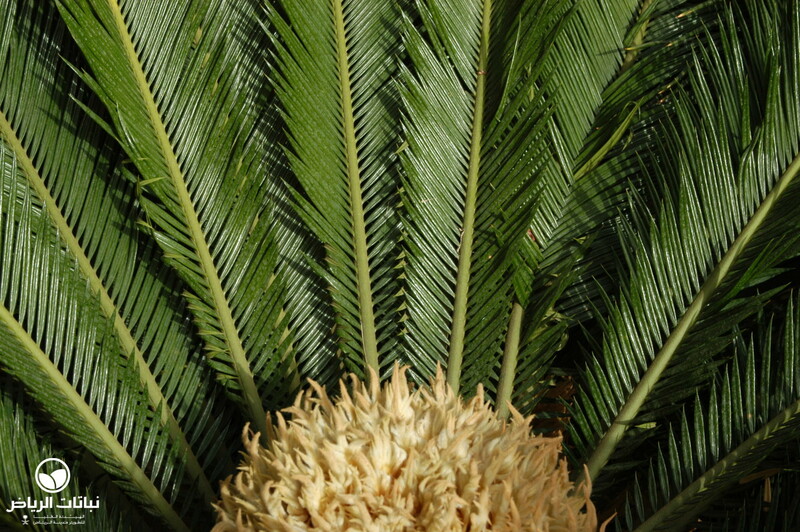 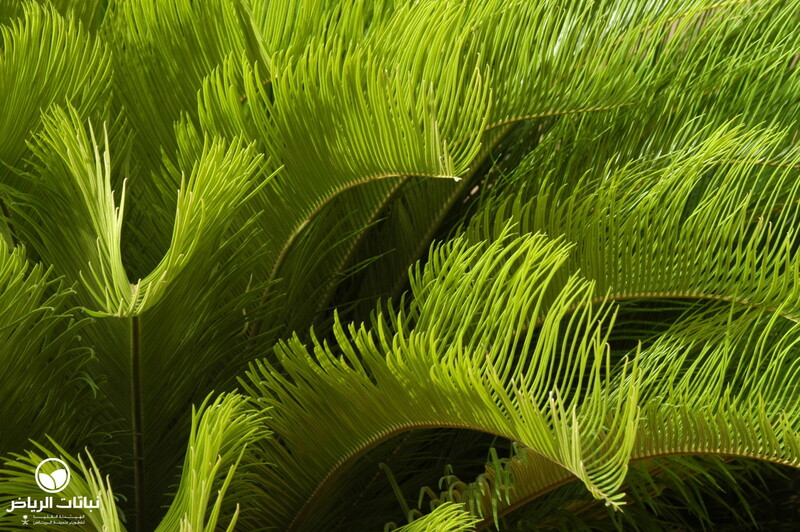 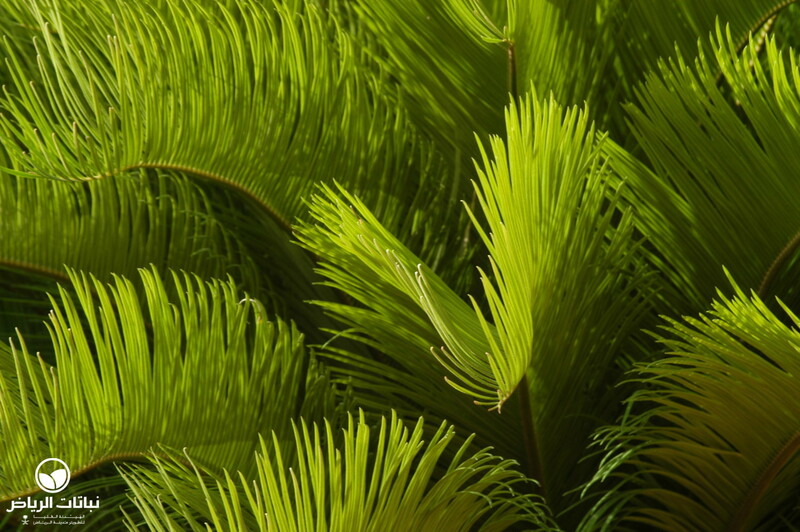 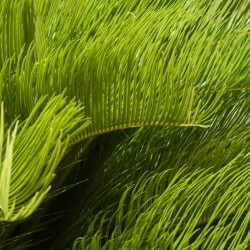 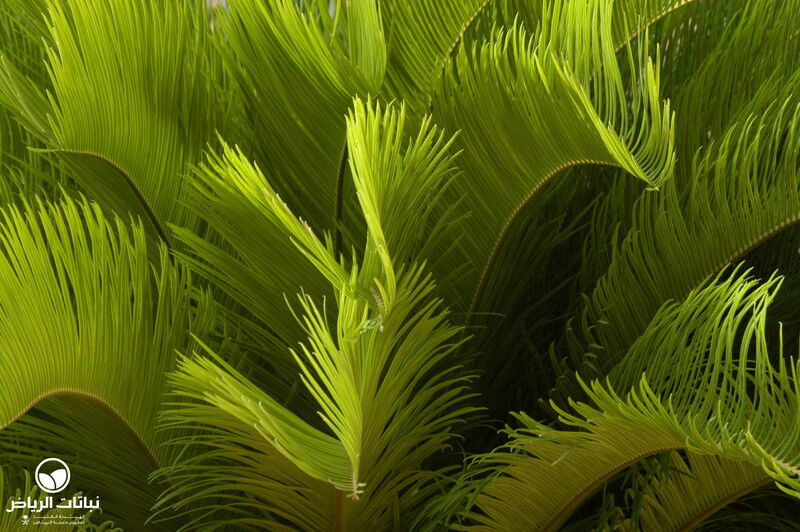 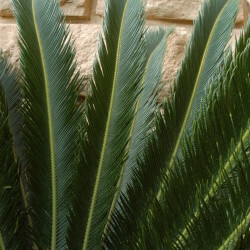 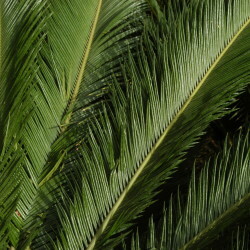 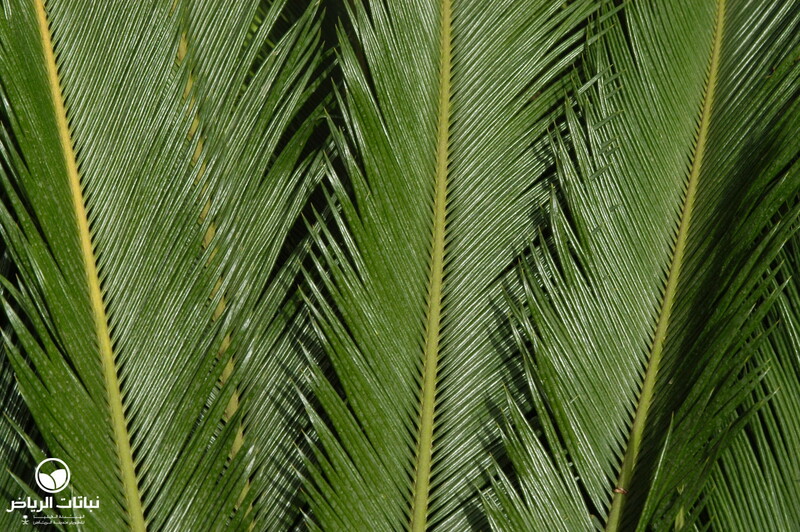 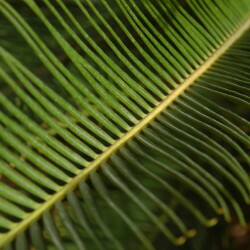 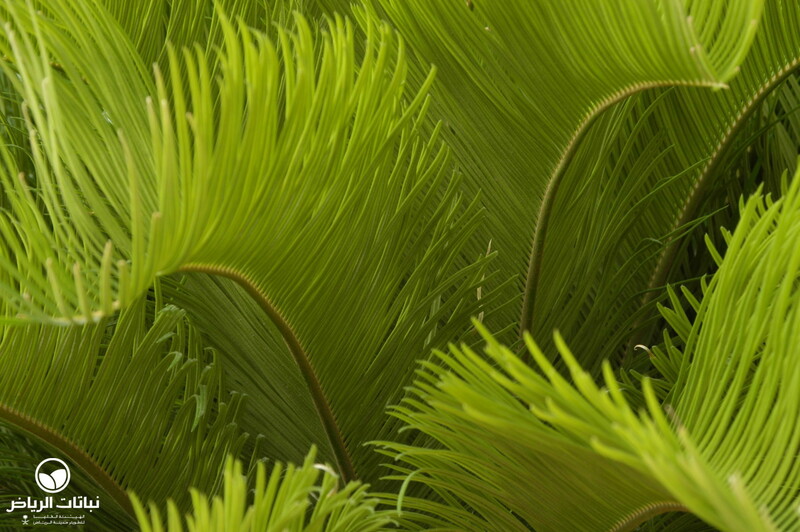 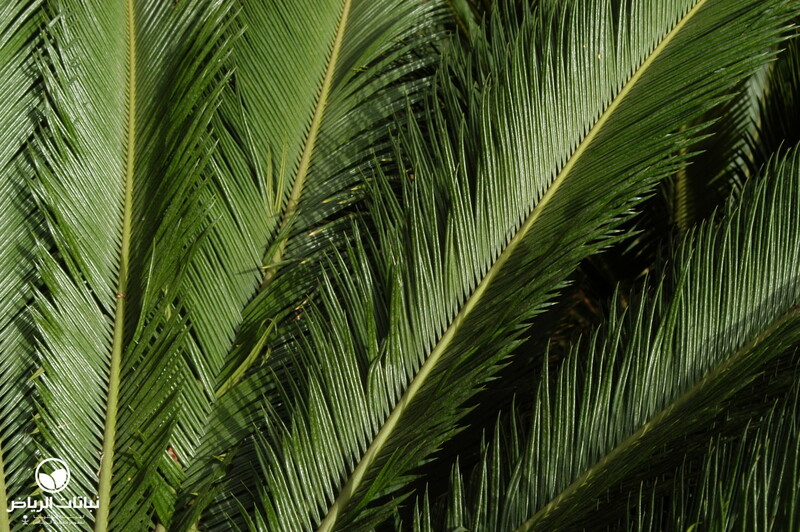 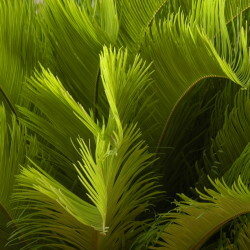 Fern or Sago Palm is the common name for this plant, which many believe to be a palm tree, because of its fronds. 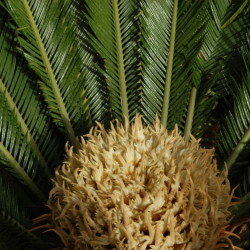 C. revoluta belongs to a special plant family called cycads, which produce cones instead of flowers. 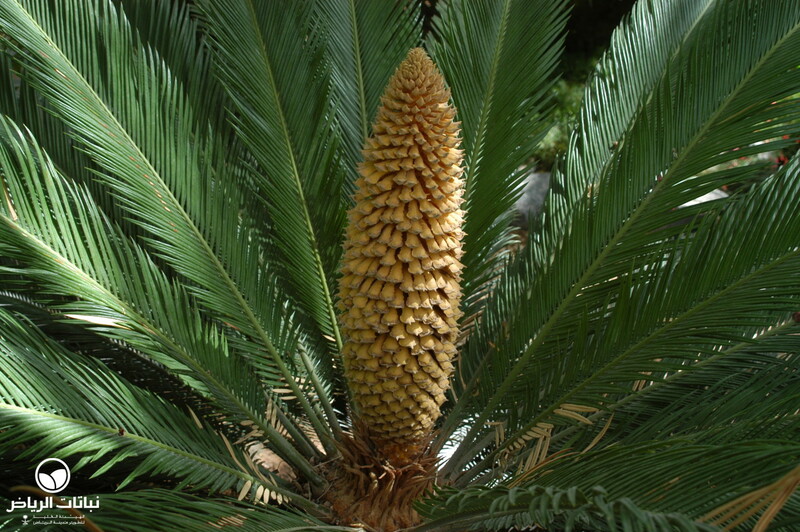 It is native to southern Japan. 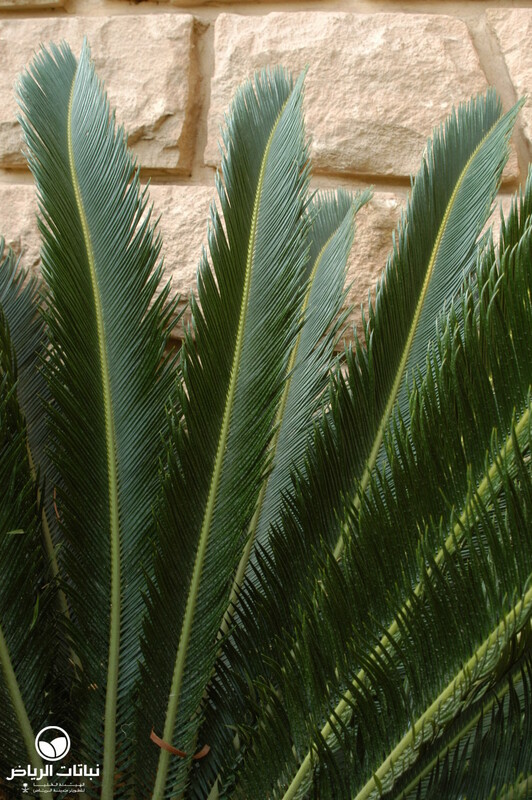 There are some excellent specimens at Kasr Tuwaiq in the Diplomatic Quarter. 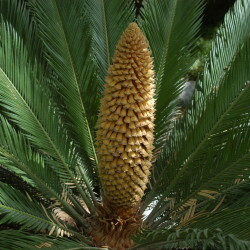 It eventually grows to the proportions of a small tree, reaching a height of 2 to 3 metres. 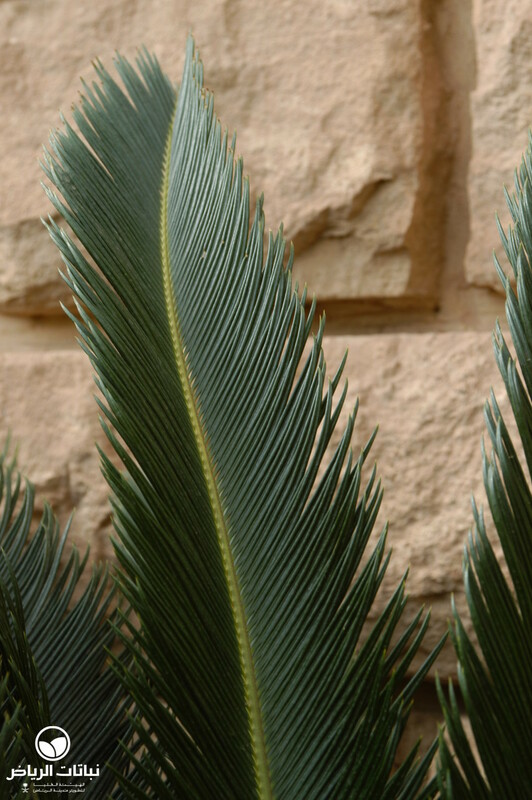 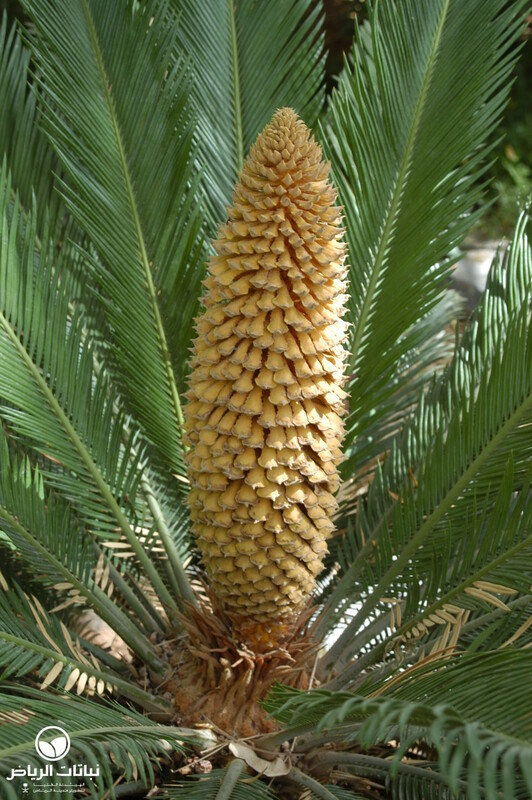 The Cycas reaches maturity at the age of 100, but it is very slow-growing and a specimen at this age will have a trunk of 7 metres. 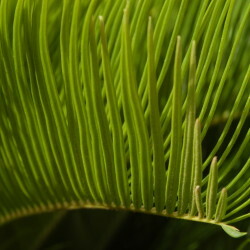 The evergreen, leathery, long leaves are in a very symmetrical order at top of the stem. 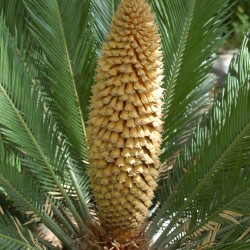 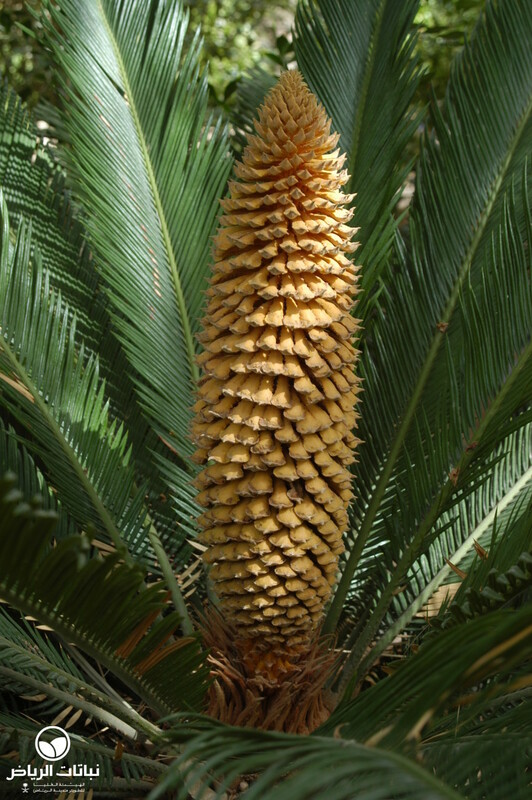 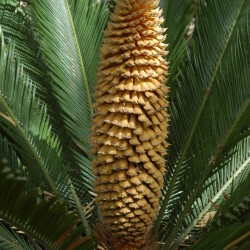 The plant is dioecious: the male plant develops an impressive cone for pollen production, and the female plants bear groups of nut-like seeds that can be used for propagation, which can also be carried out by removing the basal offsets. 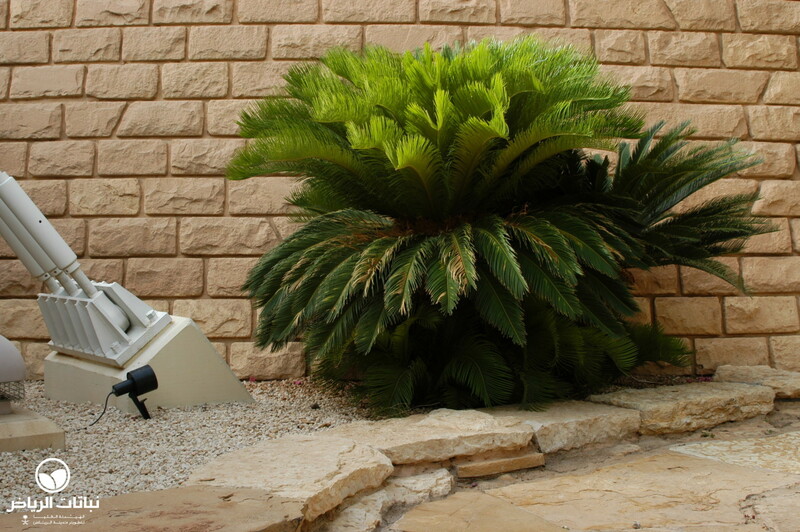 Cycas prefers sandy to clayey soil with some humus content. 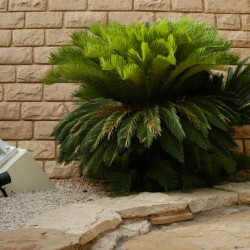 It does not like salinity and requires adequate irrigation and a minimum of air humidity. 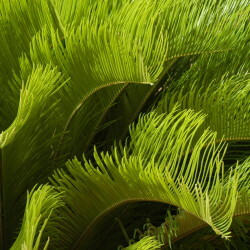 The Sago will grow well in the shade of trees and is best planted to receive morning sun. 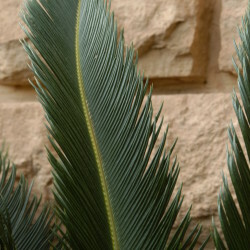 Pruning is not required. 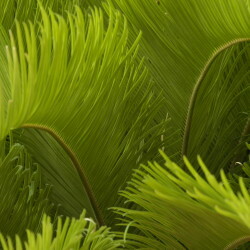 C. revoluta is a very attractive plant, because of its dark-green leaves and regular and symmetrical growth. 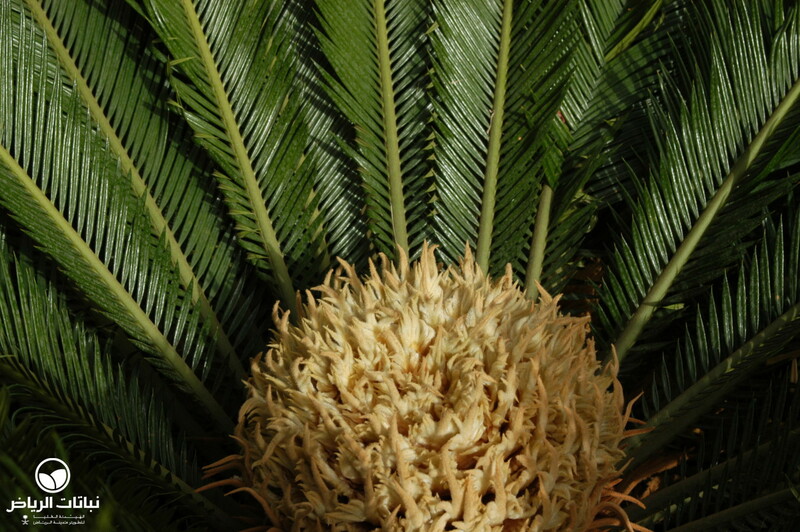 It survives the intense, dry heat of Arriyadh, and sometimes direct sun, remarkably well, giving a lush, tropical impression. 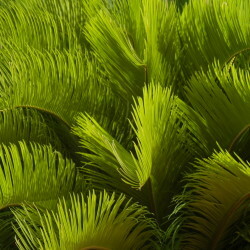 Attractive planting schemes can be created with Cycas as accent or specimen plants or in groups in parks, gardens or pedestrian precincts.